With a little help from SIGTOA? The R&A recently announced that the 148th Open would returning to Royal Portrush in 2019, marking a historic return to Northern Ireland for golf’s oldest and most international Championship for the first time since 1951, when Englishman Max Faulkner lifted the famous Claret Jug. Every time The Open rolls into town it is lauded as bringing massive economic benefits with it and annual economic impact studies will usually throw up figures between £70 and £100 million. Now, regardless of how you view economic analyses, there can be little doubt that in the case of Northern Ireland the impact of having the Open return after more than seventy years is not going to be calculated only in monetary terms. It's impact is going to be felt in many more ways and whilst the word "legacy" is abused when linked to sporting events it is pretty certain that in this instance that legacy will be very strongly felt. Royal Portrush sits on the Causeway Coast on the north of the country and as such is only a short ferry journey across the Irish Sea from Scotland via the fast ferries of P&O and Stena into Larne or Belfast or the unique ferry route from Campbeltown to Ballycastle. As a result of this proximity Scottish Incoming Golf Tour Operators all feature programmes to the north of Ireland and quite often tie them in as a dual destination itinerary building in Scotland's west coast links (such as Troon, Turnberry and Prestwick) with Royal County Down and Royal Portrush. And it is the historic support that SIGTOA members gave to developing Northern Ireland's golf market that makes it so pleasing to see the Open finally returning to the country. For many of the current tour operators the relationship with Portrush, County Down and other classic links such as Portstewart, Castlerock or Ballycastle goes back twenty years and more to the nineties when golf was flagged as a core driver for the growth of Northern Irish tourism and hospitality. 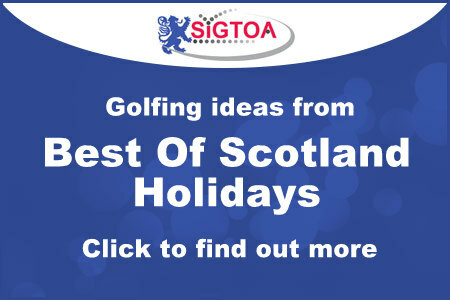 SIGTOA members were undoubtedly at the forefront of promoting golf to Northern Ireland and supporting the vision of those who saw what might just be possible back in those pre-Good Friday agreement days. The Northern Ireland Tourist Board were clear that golf had the power not only to attract visitors to established courses but to provide economic impetus and development opportunities through new golf courses and related accommodation provision. 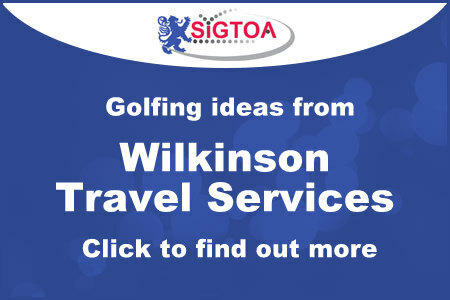 The result was SIGTOA members not only booking golf groups for the championship courses but arranging short breaks to independent hotels along the coasts of Antrim and Down and short breaks into the new golf resorts that sprung up under brands such as Raddison (Roe Park) and Stakis (Templepatrick) amongst others. Whether there was ever a date attached to the goals of the late nineties, you always sensed that getting the Open back was a vision and not just a pipe dream. And the recent announcement is testimony to that vision and the work done back then by the likes of Jim Paul and Tom Higgins from the NITB, various hotel owners and operators and others such as Darren Clarke. “The role of the Scottish Tour Operator has played an integral part in developing tourism in Northern Ireland to what it is today. Through all the past troubles tour operators have stood by Northern Ireland. It was not unusual for us to have many bookings to Northern Ireland only to be cancelled by a single incident during the troubles. Today, with the troubles behind us, Northern Ireland is a vibrant beautiful country well worth a visit. With The Open returning in 2019 this is a major boost in confidence for not just golf but for the whole country. It is expected to be the biggest sporting event ever held in Northern Ireland and the official estimate is that it will generate more than £70 million in terms of economic impact and destination marketing benefit. It is however the pride and placement of the country that makes it even more valuable. This is the ultimate recognition for a country as a golfing destination. This is The Open Championship. And it is returning to Northern Ireland. Royal Portrush is one of my favourite golf courses in the world. I think it will be a fantastic Open venue. They are going to add a couple of new holes to the golf course and I think that will be a great addition and will make the course even stronger. I’m really looking forward to it. Course preparations and the work to create the two new holes on the renowned Dunluce Links are well underway. The new 7th and 8th holes will utilise land from the adjacent Valley Course to develop a new par 5 hole, playing down into the valley encompassing that course’s 6th hole, and then a par four, playing back over its 5th hole into some beautiful duneland. Almost as soon as the date was announced there were enquiries coming in and the tour operators have been busy contracting rooms across Northern Ireland for the week of 18-21 July 2019 and links to these will be published early in 2016 on the Open Championship pages on the site. In the meantime the tour operators have been kept busy. We were contacted on the day of the announcement by a Judge and client in Florida, who is planning to bring a group over for The Open Championship at Royal Portrush. Royal Portrush hosting the Open Championship in 2019 is much deserved and long overdue. The Antrim coast plays a significant part in the tours we put together for clients and with other great links courses in the area like Portstewart and Castlerock it will only continue to gain in popularity. A couple of groups a year will combine Northern Ireland with the south west of Scotland and with easy transport links by air and ferry I am sure we will see an increase in this type of two country tour. Imagine playing Royal Portrush, Royal County Down, Royal Troon and Turnberry - it's a mouth watering prospect. Royal Portrush may have been missing from The Open rota for 59 years, but it has not been missing from the list of amazing courses our clients play each year. 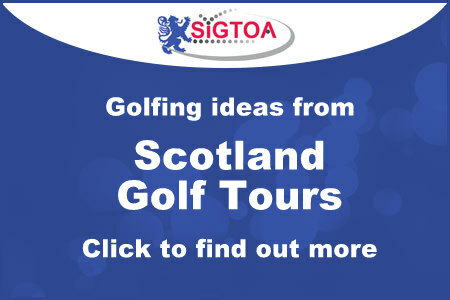 The course is as good as any of the Open venues in Scotland and England, although there may still be some concerns at the shortage of good quality hotels within easy reach of the course that the spectators will be seeking. That said, we will be offering packages to the event as we do every year, and it will be interesting to see how our international clients react to this venue being reinstated to the rota. The north coast of Ireland has 6 or 7 great courses, of which this is one, and is already a great destination for clients to enjoy their annual golf trip. With good ferry links with Scotland nearby and road links with the Dublin area it is easy to include this area in a 2 centre tour as well. We are delighted the R&A have announced the 2019 Open Championship is going to Royal Portrush. It is undoubtedly one of the finest links golf courses in the world which I was lucky enough to first play in 1981 and have rated the course in my personal top 5 ever since. We have been sending many clients to Royal Portrush for close to 20 years now and the feedback is always outstanding. With the Open returning in 2019 we are sure to see increased demand from clients to play there from 2016 onwards and with the close proximity of other world class links courses such as Portstewart, Ballyliffin and Royal County Down this makes for a great portion of any golfing itinerary. Indeed Scotland will see a huge benefit and we will be offering a 2 location trip with a visit to Portrush to play these great courses then coming over to Scotland to play our iconic Open courses such as Turnberry, Royal Troon along with St Andrews, Carnoustie and Muirfield.